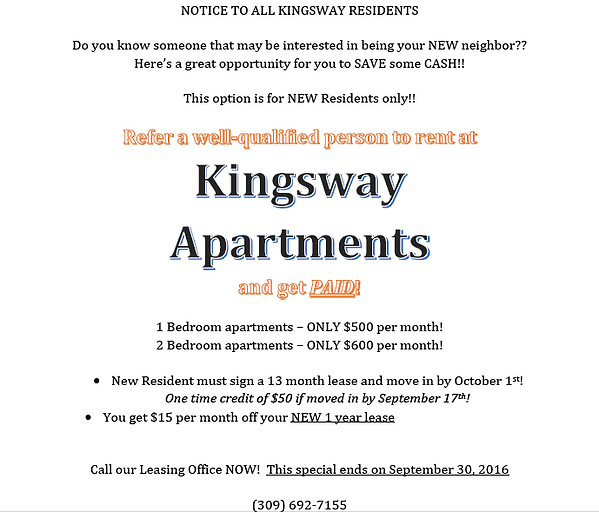 Kingsway Apartments are a GREat place to live! And if you refer someone to us who rents from us, you could save some CASH! Hurry! This offer ends September 30, 2016! !